Geranium offers outstanding benefits for soothing skin and is a common ingredient in many skin care products. 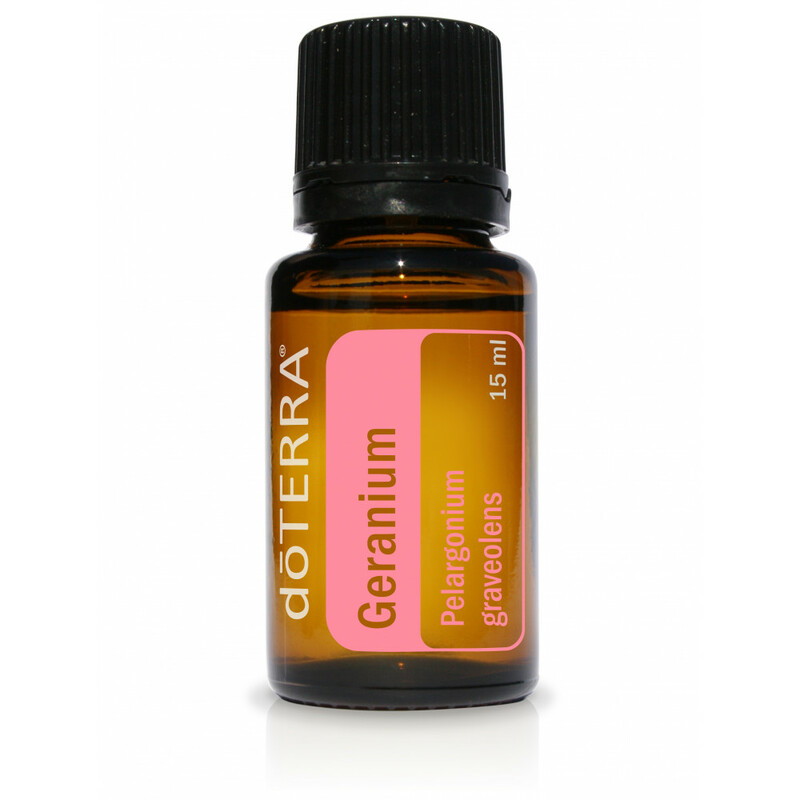 Also useful for joint support and tempering minor aches and pains, Geranium’s calming effects make it a popular choice to promote clear skin and healthy hair. It also helps calm nerves and lessen stress. A member of the Pelargonium genus of flower species, geraniums are grown for their beauty and as a staple of the perfume industry. While there are over 200 different varieties of Pelargonium flowers, only a few are used as essential oils. Uses of Geranium essential oil date back to ancient Egypt when Egyptians used Geranium oil to beautify skin and for its internal health benefits. In the Victorian era, fresh geranium leaves were placed at formal dining tables as decorative pieces and to be consumed as a fresh sprig if desired; in fact, the edible leaves and flowers of the plant are often used in desserts, cakes, jellies, and teas.